George appears to be making the publicity rounds for his latest book, which is great news for those of us who love to hear him interviewed. This video is from the Wall Street Journal. I’m going to have to listen to this in “bite sized chunks” – five minutes here, five minutes there until I have finished and then come back and give a considered opinion. I know GRRM sometimes comes in for a certain amount of flak for being involved with side projects (and hence not ploughing on with the as yet unpublished parts of ASOIAF), but I believe his publishers may have wanted him to bring out this book and go on the attendant publicity rounds. I may have said on another thread (slightly off-topic) that my eyes have sometimes glazed over when reading (or listening to – there were some audio versions of the books on YouTube at one time but maybe they breached copyright because some have been taken down) the books where a description of a feast occurs. This is just a personal reaction and medieval banquets, for the rich at least, were in truth lavish affairs, so GRRM is actually being faithful to medieval times by narrating them as such. Still, this is not directly involved in GRRM’s video (at least not in the little I have thus far listened to). I will return in a few days to give my thoughts when I have listened to the video in its entirety. >>know GRRM sometimes comes in for a certain amount of flak for being involved with side projects (and hence not ploughing on with the as yet unpublished parts of ASOIAF), but I believe his publishers may have wanted him to bring out this book and go on the attendant publicity rounds. I agree completely with this. He wouldn’t have much choice about doing publicity I wouldn’t think. It might even be in his contract. The other thing is that the World of Ice and Fire book was coauthored with the Westeros.org founders. I wouldn’t be surprised if they wrote most of the material that isn’t new maybe? The book also might be a thank you to them for helping him publicize his books for years? I don’t know. IMO, it would be perfectly understandable if it was. I’ve read some of A World of Ice and Fire already. (I preordered it so it arrived the day it was released.) Some parts of it are fascinating – I particularly enjoyed the parts I read about dragons and Valyria. Other parts I didn’t find quite as interesting or even, dare I say it, dragged. I suspect that, with the world building, it really depends on your taste what you like and what you think drags. I also enjoyed reading it like a reference book and not from start to finish. I often wonder about the reason for GRRM’s slowness in completing the novels. It is rather more likely that he would like to finish the series as much as the fans. Why drag it out? I’m more inclined to believe that he wants to get on with his life too. More likely the delay is not his distractions (travel, publicity, side projects) but rather he is unhappy with the story development at the moment and wants to wait for better ideas to appear in his brain. Perhaps his writing habits and processes are not conducive to come up with story developments that he himself is satisfied with. I don’t know, but that’s my suspicion. re: he is unhappy with the story development at the moment and wants to wait for better ideas to appear in his brain. That’s really interesting. I’d never thought of that before. I’ve also suspected that his process is really labor intensive. There is so much background research that he incorporates in his books that it is stunning. I’ve also assumed that he does voluminous research and then writes multiple drafts to layer in all the symbolism, thematic stuff, etc. This is in addition to the standard polishing and revising. 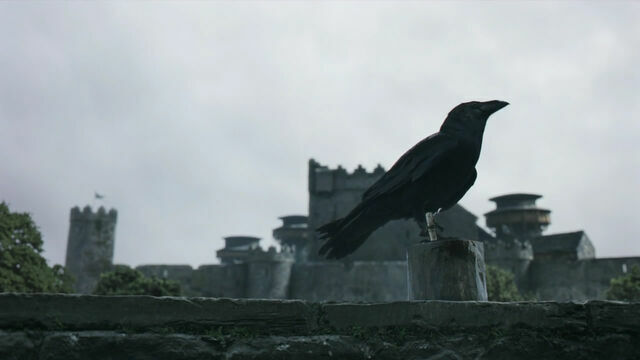 So, if it was six years between A Feast for Crows and A Dance with Dragons, maybe it took him five years to write it? My math/guestimate of 8 years might be a little high. I suspect that novels don’t take 8 hours/page to write and your writers block theory might be closer to the mark.